Wildly Light on his Feet: Todd Swift on a poet's bracingly flamboyant disregard for lyric proprieties. 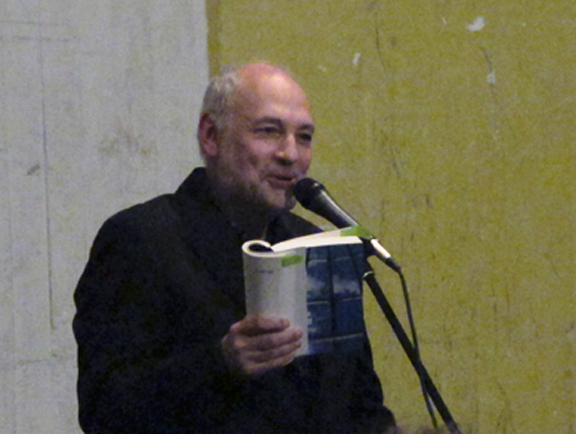 A Charles Bernstein poem is not a result of inspiration. There is no attempt at formal mastery, narrative, or metaphor. Nor does his poetry seek any sort of insight into personal experience; nor is his poetry merely slapstick, satire, irony, parody or pastiche, though that is there, sometimes, too. His poems resist appreciation, even acceptance, by most if not all mainstream critical measures, willfully and with premeditation. So, what is left? What does a Bernstein poem do? Well, everything else, you might say – it does anything and everything language can do. To read Bernstein’s writing - his poems, manifestoes, and essays (often one and the same) - is to learn, more or less, what he thinks a poem is, or what it could be. 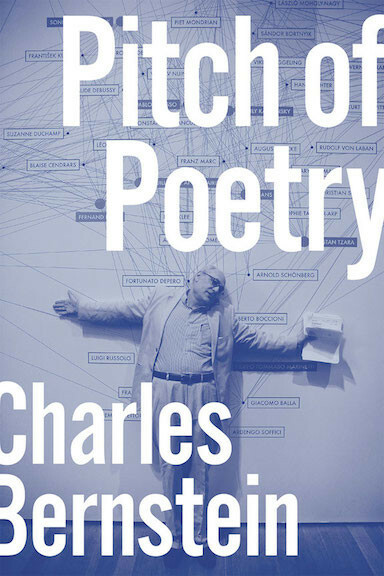 Charles Bernstein is one of the best-known poets of the American L=A=N=G=U=A=G=E Poets, who, around 1978, began to find fault with mainstream lyric poems, and even postmodern alternatives as provided by poets of the Beats and poets of the Black Mountain and New York schools. These poets, including Rae Armantrout, Ron Silliman and Bruce Andrews, took a Marxist turn to emphasize the materiality of linguistic production. 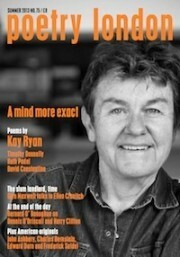 Deriving much of their force from post-structural French theory and the Oulipeans, these poets wrote unsentimental, non-representational discursive poems fluid in terms of tone and levels of discourse. The difference between what Cambridge School late modernist poets, such as JH Prynne, do, and what Bernstein does, is partly down to how his own radical practices have evolved over the past thirty-five years of his hugely influential and increasingly public career, and how experiment (or progress) in poetry is received in North American versus British literary circles. 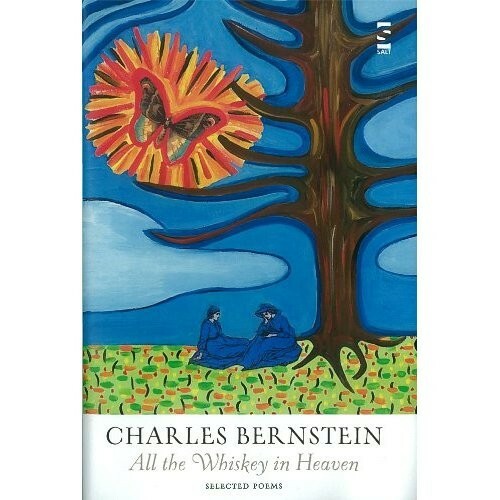 It also has to do with how Bernstein has modified his more austere, Adornoesque earlier works, and allowed the comedy and music of his New York, and Jewish, roots, to emerge in the later poems. In the UK, the avant-garde remains mostly on the margins of the so-called mainstream (as much by choice as by fortune), whereas in America, and Canada, it is one of the dominant practices, and much more widely embraced by foundational institutions. 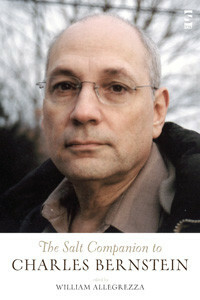 In the case of Bernstein his lack of marginality at home and relative obscurity in the UK is easily gestured at – this Selected was originally published in America by FSG – the rough equivalent of Faber here – but has appeared (a few years later) in the UK under the independent imprint of Salt. This is a good thing for Salt, because this is arguably the most important poetry book by an American to appear in Britain so far this decade. There is a “rain in spain” sound to some of this, and here we are reminded that the highly-charismatic performer that Bernstein is. At readings he revels in the borderline nonsense sounds that words can evoke when jostled together (yoked is not quite the thing); and he particularly likes silly puns, as well as sensible aphorisms. Pleasure strikes when feeling stays.